Mayfest Arts Fair this Saturday & Sunday, May 9th-10th! 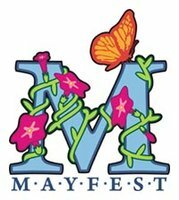 Head on over to Gratz Park in Downtown Lexington this weekend and celebrate the 21st annual Mayfest! The art fair will feature 100+ artist vendors, activity artists, music performances, dancers, delicious food vendors, children’s activities, and so much more! This family-friendly event is the perfect way to spend this coming Mother’s Day weekend!